According to the information on “Soldiers Died in the Great War”, William Cousins was born in Ditchburn in 1897. However, there is no such place as “Ditchburn” in County Durham and could possibly be a misreading of Bitchburn. The Commonwealth War Graves Commission states that he was the son of Mary Ellen and the late Michael Cousins of 48 Victoria Street, Crook. A search of census records has been unable to locate William but Mary Ellen and Michael seem to have a son named Michael of the same age. The North East War Memorials Project notes a M. Cousins on the Crook Cenotaph and at Saint Catherine’s Church in Crook but no W. The Durham Advertiser of 15 June 1917 notes the death of a W. Cousins from Crook. So, it seems possible that Michael was known as William. William enlisted at Newcastle Upon Tyne as a private in 18th Battalion DLI originally with the number 10326, later he was given the number 270113. He was killed on 3 May 1917. 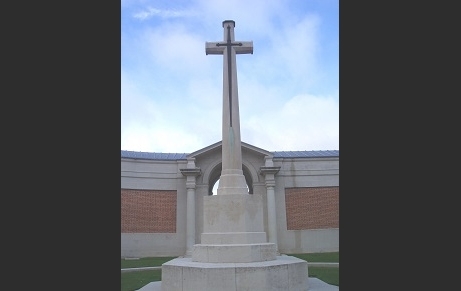 He was awarded the Victory Medal and is commemorated on Bay 8 of the Arras Memorial.